Will "Coinchella" Usher in a New Bull Market in 2018? Update: The IRS has given taxpayers a one-day extension (until April 18th) to file taxes after its website crashed. With the tax filing deadline only days away, some crypto fund managers believe that the bear market of 2018 is “largely over.” Unfortunately, few people understand how to account for digital currency gains on their tax returns, so the odds are you are waiting until the last minute. This year, federal and state taxes are due on April 17 so crypto enthusiasts will have a couple of extra days. (The traditional April 15 tax deadline falls on a Sunday and federal offices are closed Monday.) Here are five strategies to ensure that you are properly paying crypto taxes or minimizing the amount of taxes you will pay on digital currencies. The Coachella Valley Music and Arts Festival, which is the biggest in the U.S. and Canada, takes place annually during peak tax season. If you are planning to attend the festival and still haven’t yet filed, please take the Coachella post office’s advice and don’t mail in your tax returns from the festival. We hope that the annual trek to the desert marking the end of the peak tax season will shift the crypto markets toward bullish (aka “Coinchella”)? Editors note: This image is intended as a parody. 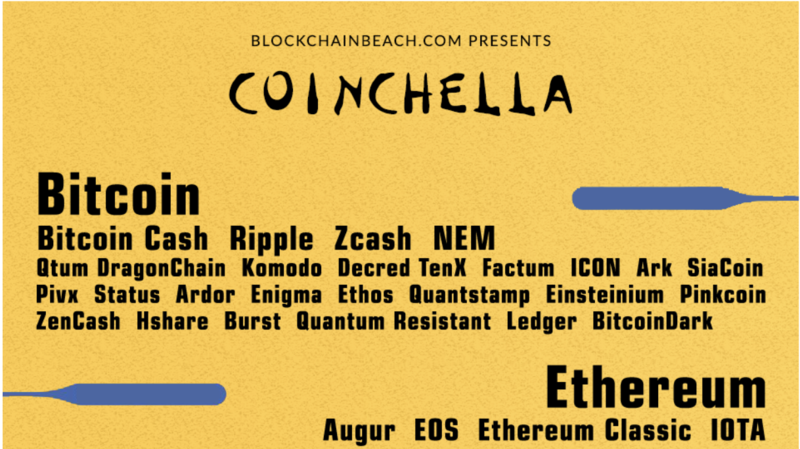 Coinchella is not yet a scheduled event, although we hope to be celebrating it in spirit all year long!